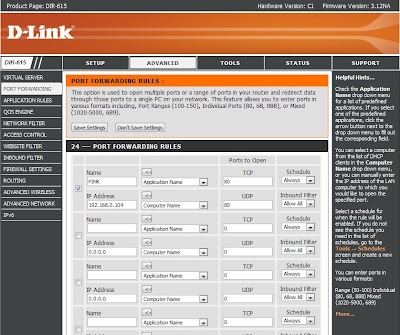 port forwarding for various servers on a non-apple router, i will be using a DLink as an example. Why would you need to Forward a port? Simple answer: so people can access you server from outside you LAN or Local Area Network. 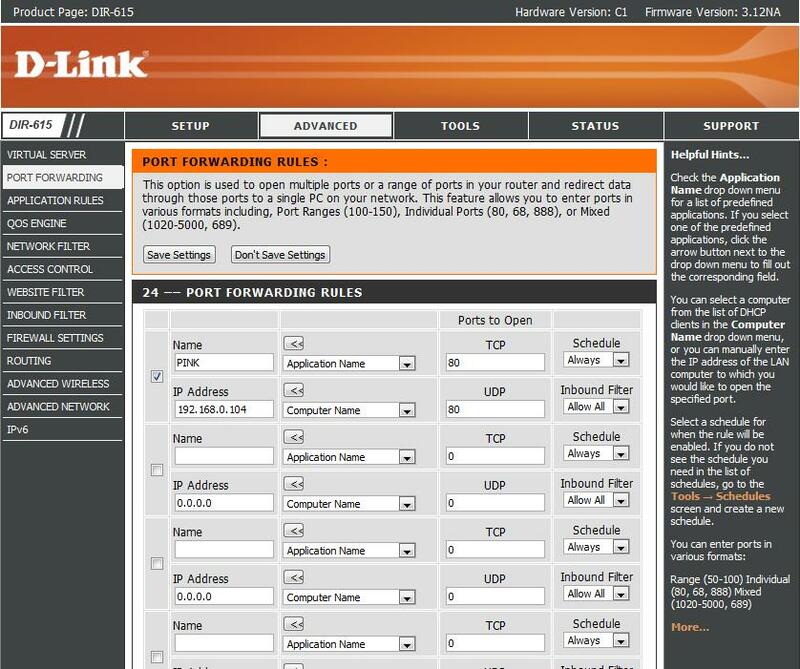 First you need to determine if your Dlink will let you access the admin page via wifi. Some dont allow this for security reasons. But you can change that setting. Then just enter the same address: 192.168.0.1 in your browser. It should supply you with 2 fields to enter you password and user name. But normally the password is not the default one, you have to know that password or ask someone who does. If all go well the admin page should be served up. Pick and name of you choice. e.g. Mincraft server. Then for IP Address put the local ip or you computer, you should know how to find the local ip of your computer but if you don't, drop me a comment. Put a range of ports instead of just one port, i find it works better for server FTP servers and Minecraft. For Minecraft i would put the ports like this: 24000-26000 assuming you Minecraft server is running at the default port of 25565. Put the same port range both the TCP and UDP fields. You can leave the "Schedule" and "Inbound Filter" selection boxes as they are shown in the image. Click save changes at the top and let your router do its thing and reconfigure. After that to test it, turn on your server and test it with your local ip to confirm it is working and serving. Then find your external IP and whatismyip.com and then you that ip to connect instead. But things never work the first time with me so if you have any trouble, drop me a comment and i will see if i can help. Some routers may not support ranged port forwarding, so instead of putting 24000-26000 for the ports, just put 25565 or whatever port you are looking to forward. Some routers may also not allow outside connections from your local network. So you might need to go a to a friends house or an internet cafe to test it. But this is rarely the case. 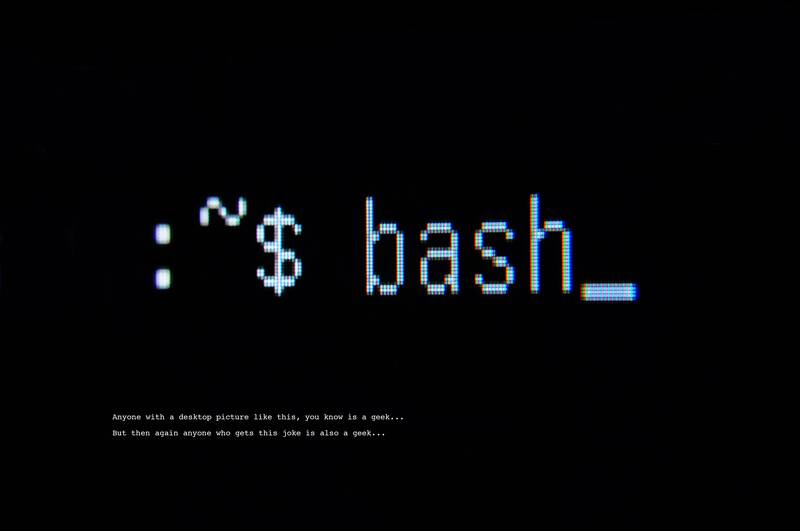 Make you that you server is running on the port you think it is and that you port forwarded that port. Thanks, your step by step info was good, i liked it. Now i how to port forward on a d link router without any help and i also recommended it to people. Thank you Vikram for your comment and referral! It is much appreciated. I myself read a lot of tutorials, so I try to make my writing concise and my reviews and tutorials explicable. I wanted to read your blog, I enjoyed reading your blog. there is a lot of good information on your blog, I loved reading it and I think people will get a lot of help from this blog. Sam, I have written this kind of blog, You can also read this Facebook tech support number blog. I think you will get a lot of help from this too. I hope you like my blog, I hope you got a lot of help from this blog.